If you’ve been following the Pierce family history, you will by now have come to the realization that our Pierce Family were mostly Quakers that immigrated in the early days of our country. When researching the Pierce family you will find them among the records of the Quakers, or other wise known as the Religious Society of Friends, and also referred to as the Quaker Movement. It was founded in England in the 17th century by George Fox. He and other early Quakers, or Friends as they were called, were persecuted for their beliefs, which included the idea that the presence of God exists in every person. Quakers rejected elaborate religious ceremonies and didn’t have official clergy. They believed in spiritual equality for men and women. Quaker missionaries first arrived in America in the mid-1650s as did our first Pierce Ancestor, George Pierce. Quakers, who practice pacifism, played a key role in both the abolition and women’s rights movements. In the 1640s, George Fox, a reasonably young man left his home in the English Midlands and traveled around the country on a spiritual quest. It was a time of religious turmoil in England as well as other areas, with people seeking reform in the Church of England or starting their own churches. Over the course of his journey, as Fox met others searching for a more direct spiritual experience, he came to believe that the presence of God was found within people rather than in churches. He experienced what he referred to as “openings,” instances in which he felt God was talking directly to him. Fox shared his beliefs with others and spoke to increasingly larger gatherings. Even though his views were viewed by some as a threat to society and he was jailed for blasphemy in 1650, Fox and other early Quakers continued to share their beliefs. In 1652, he met Margaret Fell, who went on to become another leader in the early Quaker movement. 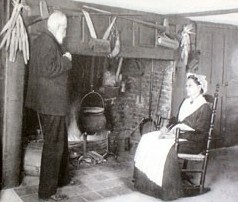 Her home was at Swarthmoor Hall in Northwest England and served as a gathering place for many of the first Quakers. Fox and Fell married in 1667. “Quaker” emerged as a nickname for Fox and others who shared his beliefs. The group eventually accepted the term, although their official name became Religious Society of Friends. Members are referred to as Friends or Quakers. Quakerism continued to spread across Britain during the 1650s, and by 1660 there were around 50,000 Quakers, according to some estimates. 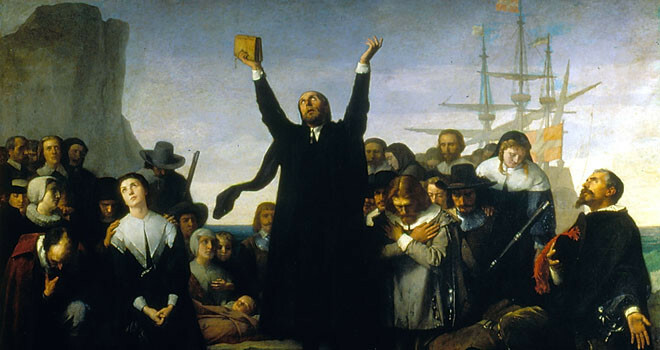 Based on their interpretation of the Bible, Quakers were pacifists and refused to take legal oaths. Central to their beliefs was the idea that everyone had the Light of Christ within them. 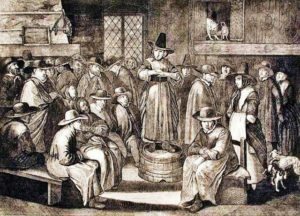 During the 1680s thousands of Quakers were persecuted and jailed. Fox spent much of the 1660s behind bars. depart from Friends’ principles and testimonies. The term Monthly Meeting may be applied either to the actual membership or to the monthly business sessions. The Preparative Meeting is a constituent part of the Monthly Meeting and is subordinate to it. The Preparative Meeting holds business sessions to formulate recommendations to be acted upon by the Monthly Meeting. In the early periods of Quakerism, Monthly Meetings frequently included several congregations scattered over a large area, and the Preparative Meeting included one or more neighboring congregations. Within these meetings some of the best records have been kept. Having a Quaker ancestor is a God send when researching your ancestors as you have access to some of the best records. George Fox established a rich system of record keeping. Quaker missionaries arrived in North America in the mid-1650s.The first was Elizabeth Harris, who visited Virginia and Maryland. By the early 1660s, more than 50 other Quakers had followed Harris. 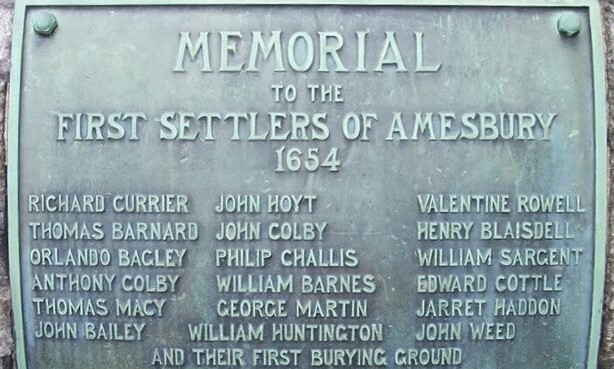 However, as they moved throughout the colonies, they continued to face persecution in certain places, such as Massachusetts, where four Quakers were executed. 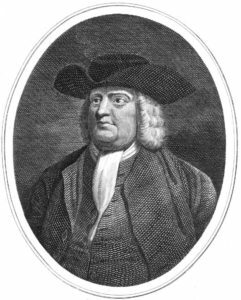 In 1681, King Charles II gave William Penn, an English Quaker, a large land grant in America to pay off a debt owed to his family. We know from previous research that our George Pierce purchased land from Penn. Penn, who had been jailed multiple times for his Quaker beliefs, went on to found Pennsylvania as a sanctuary for religious freedom and tolerance. Another of our ancestors, that being Hugh Roberts, (my 7th great grandfather) was among the 2nd Welsh party from Merionethshire, member of the Penllyn Month Meeting, who were purchasers of land in the “Thomas and Jones Tract,” This party is known as the “Hugh Robert’s party”, that came over in the ship Morning Star, of Chester. Thomas Hayes (of our Hayes line??? 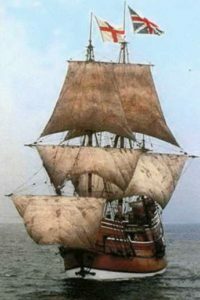 I’m not yet sure) was the master of the ship, sailing from Mosson, in September of 1683. The voyage took two months, and was described as uneventful with the exception of several burials at sea. They arrived in the Delaware, and at Philadelphia in the mid part of November. The passenger list was large, outside of the Roberts’ party, in which there were 50 or more persons including servants, Welshmen and their families coming over to settle somewhere in the great Welsh Tract. “Divers of those early Welsh settlers were persons of excellent and worthy character, and several of good education, family, and estate.” as they were descriptively noted by Proud. 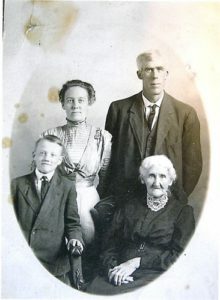 Hugh Roberts, Edward Owen, William John, Gainor Roberts (sister of Hugh) Cadwalader Morgan, Hugh John, and Katherin Thomas. Hugh Roberts of Kiltalgarth, yoeman (meaning freeman), headed the second party of settler’s from Merionethshire bound for the Thomas and Jones tract. In his immediate party, were is mother, his wife, his sister, Gainor Roberts, five children, and four servants. Hugh was a man of education and an eminent minister among Friends, whom he joined in 1666, and described as a a “pleasant writer”. Not much is known of his ancestry, except that he was the son of Robert Hugh (eight great grandfather), Or “Robert Pugh, gent” of Llyndedwydd, a leased farm, near Bala, and the Lake, in Penllyn, Merioneth, by his wife Katherine Roberts (eight great grandmother), who being a widow at the time of the removal, came with her son to Pennsylvania, and is buried at the Merion Meeting, in 1699. Katherine was the daughter of William Owen (9th great grandfather), of Llanvawr parish, in Penllyn where Hugh Roberts lived before he set out for America. Hugh Roberts, being so prominent and a minister of Friends’, in North Wales, suffered fines, annoyances, and imprisonment. He brought a certificate of membership, for his wife and family as well as for himself from the Men’s Meeting in Penllyn, Merioneth, dated 2 5mo 1688. Hugh soon became well known in America as a travelling public minister, and in 1688 and 1697 and 98 he made missionary visits to North Wales. On his last trip, he kept and interest journal of his travels, beginning on Feb 15 1697. This trip took him to England and Wales by the way of Maryland and Virginia. From there we went on to New Kent county, “Where there is a meeting of Friends,” and the next day to a Monthly Meeting at Curles on James river, “met dear James Dickinson,” “and I went to Edward Thomas at James river, Charles Fleming coming along with me” and attended a Quarterly Meeting at Tenbigh. Then he visited Alexander Llewellyn. He visited the homes of Henry Wiges, William Cook, Richard Ratcliff, Daniel Sanburn, and John Coopland, and held a Meeting at Chuckatuck. He also went to the homes of William Scott, Leven Buffstin, Elizabeth Gallowell, and Elizabeth Hollowell, having Meetings in each house. Hugh next saw land on 17 of July and arrived at Plymouth on the 22. Together with his friend they made the rounds of many Meetings, at James Lewis’s Rediston; at Own Bowen’s, near Carmarthin ; at James Preece’s, City Boom. In Radnorshire he visited Roger Hughes: From North Wales he traveled to many places in South Wales visiting friends Edward Jones, David Powel, and Thomas Gooin near Liwyn-du. “Penllyn where I was born and bred,” and there he visited Lewis Owen, near Dollegelly, then to Bala, and old friend, Robert Vaughn, and then made another trek through Wales. Upon his return he brought with him a large party of people from Merioneth, and North Wales, Many died at sea. He arrived at Philadelphia and settled the surviving emigrants, some in Merion, and others at Gwynedd, which he is considered the founder. The Pennsylvania land record of his day show that he was a land speculator as well as a minister, to the day of his death. He bought and sold many parcels of land during his years. At one time he had total 1349 3/4 acres in Merion, and tracts of land in the townships of Duffryn Mawr, and Goshen, on Ridley Creek. In his will proved 7 December 1702 he names his children, and distributed about 1200 acres in Merion, and 1100 acres in Goshen township, a meadow called “Clean John”. He bequeathed 5 lbs to the Merion Meeting. He mentions his servants, Morris Robert, and John Robert, and boys, Griffth and Morris. His trustees were John Roberts, Cadwalader Morgan, Griffith Jon, and Griffith Owen. Witnesses: Samuel Bowne, Griffith Owen, and Samuel Jennings. Hugh Roberts married twice. His first wife, Jane Owen daughter of Owen Even Robert Lewis, off Fron Goch, in Merioneth. She was the sister of Robert Owen, Of Merion and she came to Merion with him and brought the certificate mentioned above. 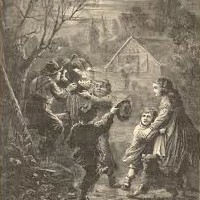 Jane died September 1, 1686, and was buried at the Merion Meeting House. His second wife, Elizabeth John or Jones, (some changed the name John to Jones after the move), he married at the Llwyn-y- Braner Meeting in Penllyn, Merionethshire, when on a visit. Hugh and Jane had six children. Jane was of Royal Descent, and assumed the surname Roberts. Within just a few years, several thousand Friends had moved to Pennsylvania from Britain. Quakers were heavily involved in Pennsylvania’s new government and held positions of power in the first half of the 18th century, before deciding their political participation was forcing them to compromise some of their beliefs, including pacifism. Katherine Roberts, of Llaethgwn, widow, and her daughter, Gaynor (several spellings are found) Roberts, of Kiltalgarth, spinster, both brought Certificates, dated 18, 5mo, 1683 (the 5th mo being July), from the Men’s and Women’s Meeting, Penllyn, and signed by the same Friends, Robert, Ellin, and Jane Owen, Richard Price, Evan Rees, Reece Evan, Elizabeth William, Elizabeth John, Gainor John, Hugh and Edward Griffith, Cadwalader Ellis, Thomas Prichard, William Morgan, Roger Roberts, David, John, Margaret John, Margaret David, and Margaret Cadwalader. The Quakers took up the cause of protecting Native Americans’ rights. They also were early abolitionists. In 1758, Quakers in Philadelphia were ordered to stop buying and selling slaves. By the 1780s, all Quakers were barred from owning slaves. There are several sources for Quaker records. The best-known source is probably William Wade Hinshaw’s Encyclopedia of American Quaker Genealogy. This six-volume work, available on CD-ROM from Genealogical Publishing Co., contains the most complete genealogical data on the Friends.In addition, there are several free online sources for researching your Quaker ancestry. The most comprehensive is The Quaker Corner. Prepare to spend hours exploring this site, which includes links to articles about Quaker history, lookups and archives. Thanks for showing up! As always if you have any other information you would like to share please do so in the comments below! Lonnie John Pierce was born on a steamy day in the hills of Missouri five miles south and east of Rockport, Acthison County, Missouri, to the parents John Franklin and Alice Roena (Johnson) Pierce, the 5th day of June in the year 1878. 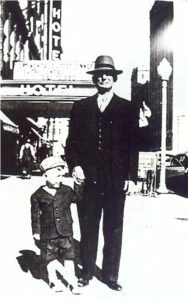 He was the second son in a family of eight children. He grew up on the farm of his parents during a time when life was prosperous for his family. His father being one of the first settlers in the area and a pioneer who homesteaded the land and cleared and improved the farm in which he was proud to call his home. The family was born of hard work and yet were given all the conveniences of the times. 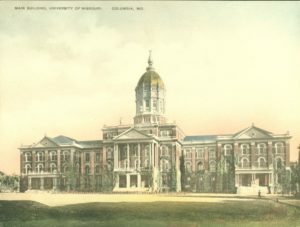 He attended the country schools of the county and when of age attended the University of Missouri at Columbia. 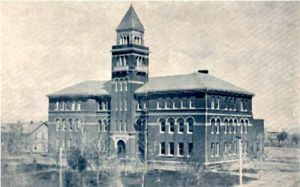 The Pierce family was a promoter of education. 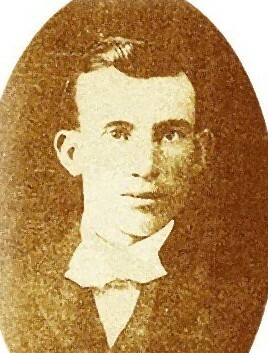 It is said of Lonnie’s Grandfather, Samuel Hayes, that if there were no school, he would build one or hire a teacher himself rather than let his children go without instruction. 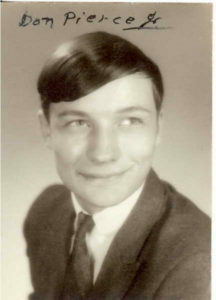 Upon graduation from college, Lonnie left the farm and became employed at the Glass Co. in Pennsylvania. What took him there I do not know, but I do know many of the Pierce’s remained in the east, and perhaps he had family connections there. He became the chief engineer of the American Window and Glass company at Pittsburgh, and participated in the development of the cylinder glass processes for drawing window glass. 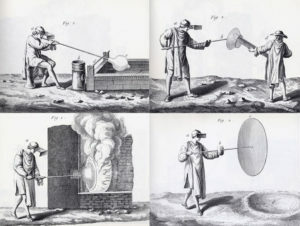 Machine drawn cylinder sheet was the first mechanical method for “drawing” window glass. Cylinders of glass 40 feet (12 m) high are drawn vertically from a circular tank. The glass is then annealed and cut into 7 to 10 foot (2 to 3 m) cylinders. These are cut length ways, reheated, and flattened. This process was invented in the USA in 1903, and this type of glass was manufactured in the early 20th century. He retired from this profession in 1948. In 1921 Lonnie married the daughter of PF Hughes, Catherine, at Pittsburgh, Pennsylvania. The couple made their final home at 66949 Wood Well St, Squirrel Hill, Pennsylvania. 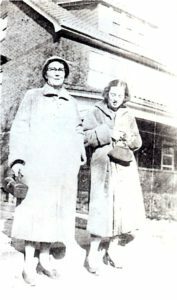 To the union was born two daughters, Barbara Mai and Sara (Sally) Pierce. 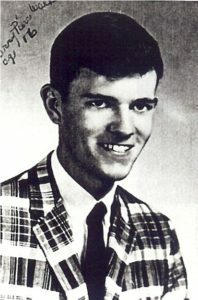 Lonnie left this world on April 2, 1963 at his home leaving behind his wife and two daughters. 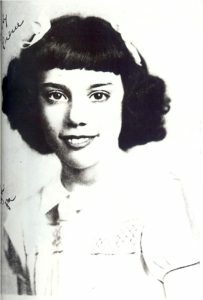 Catherine died August 19, 1980 in Pennsylvania. They are buried at the Homewood Cemetery in Pittsburgh near their lifetime home. 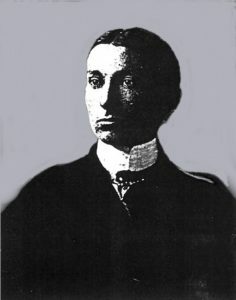 At the time of his death only his sister, Charlotta Raubach survived. 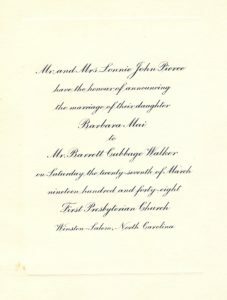 Barbara, born 14 Dec 1929, became the wife of Doctor Barrett Cabbage Walker,the son of Thomas and Clara Walker, and they had two sons, Barrett Pierce Walker, and Phillip S. Walker. Barrett married Margaret Carlson and they had a son and a daughter, Kiara and Evan. Barbara and Dr. Barrett Walker we later divorced and he remarried Catherine McDonough. 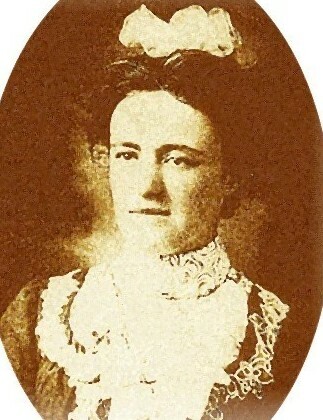 Barbara died 5 Jan 1910. 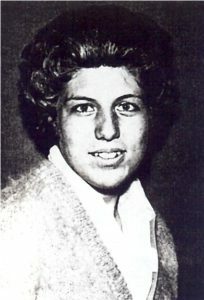 Sarah Ann never married and died July 15, 1996. Wow..in no time Thanksgiving will be upon us. My brother and his wife are planning to host the dinner this year and she sent a message to us asking who was going to be there. That got my head churning and remembering all the Thanksgivings, Christmases, and Easters we had with family when we were growing up and the memories we have due to it. Call them traditions…they use to be. I’m not sure families honor traditions like they use to as I can barely get my family all under the same roof without issue, but perhaps some do. Today Black Friday seems to have become a TRADITION. What family traditions have you carried on when it comes to the hoidays? What are some of the memories that come to mind when you think of them? One of the Thanksgivings that stands out to me the most is the time that we all went to Omaha to my Uncle Martin and Aunt Mary Blums. Mom and Dad went somewhere…I think with Uncle Martin, and meanwhile us kids stayed with Aunt Mary as she was getting things ready for dinner. I’m not sure how long they were gone, and kids don’t pay attention much to what grownups do, but apparently Aunt Mary was having a little nip as she was preparing the meal. She got drunk and fell down in the kitchen as she was getting a pot out of the cabinet. I don’t recall thinking of it as anything but an accident. She got up and carried on and dinner went on as planned as far as I remember. But perhaps there was more to the story than I remember, as I recall Herb and Una Jean driving us kids back to Grandmas, and discussing it on the way how deplorable to do such a thing in the presence of all these kids, and I remember Aunt Mary telling Mom and Dad that Marty was mad at her. We almost always went to families for a holiday dinner back in those days unless Mom and Dad hosted it that year and they came to us…but tradition then was to get together with family, and cousins grew up knowing each other familiarly. I’m curious as to how many families still do that? I mean it was nothing for someone to drive 8 hours or more to spend the day with the family. Heck, I remember loading my kids up and driving from Colorado to Missouri to spend the holiday at my parents or the family of my husband. It was more or less expected of you. One time I took the bus.. seven months pregnant, with my 2 boys, 9 months and 3 years from Dodge City, Kansas, to Springfield, MO. to have Thanksgiving with the family. That was just one of the most miserable trips ever with my kids. On the way home the bus stopped in Joplin and I bought the boys a hamburger. (my kids, all three of them, had a tendency to get car sick) We barely made it out of Joplin when Joey got sick and puked all over my pregnant stomach, and then Stevan did too! The bus driver scolded me for cussing. I stripped Stevan down to his diaper, but I was stuck wearing my puky clothes until someone on the bus asked the driver if he would stop and let me get a clean top out of the suitcase. Never the less I had to deal with the ick until we got to Witchita. But my point is…you just did it. You didn’t think about how long the drive was, you just knew that that was what was expected of you for the holiday. Does anyone do that anymore? As everyones family grew, Mom would plan Thankgiving dinner as our once a year family get together and we were just more or less expected to be there. I remember one time my dad sending me gas money so that I wouldn’t miss it. As the families grew and more and more of the children became parents, the tradition more or less faded away. Mom didn’t expect them to come at Christmas, as she felt the kids should be able to stay home and play with their new toys, and to be home on that day. However, Thanksgiving was one day a year she wanted her kids together. Then when the kids kids started having kids, the family seemed to just split up and the only ones that came were the single ones that had no where else to go. I haven’t had a holiday dinner with my three kids and all the grandkids together since 2000. I’m still invited of course to the homes of other family members, but it really isn’t the same, as when the whole dang gang was together and there were kids running around everywhere, hanging out with cousins, and most likely doing something to get in trouble. Now of course, the tradition is what is called “Black Friday”. Who does that? I did ONCE back in the 80’s and that was once enough for me. Yet there are a lot of people who do it. Heck, I think the last Thanksgiving dinner we had a bunch of them planned ahead to put it on the agenda. So that got me thinking (oh dear watch out when I start thinking) when did all this “Black Friday” start anyway? Have you ever wondered that or have you just got caught up in it? When I lived in Washington, I knew people who would get together with family members and take the train to Oregon for Black Friday because there was no tax in Oregon they figured it paid for the train trip. Since 1952…heck that was before I was born!!! I don’t recall it being all that popular until perhaps the late 80’s, but then time flies doesn’t it? I actually know people who will go the night before or get up at like 3 in the morning to go stand in line or camp out just to be the first one in the door! ARE YOU FOR REAL?! I for one do not want anything that bad! It is crazy to see Christmas gearing up before Halloween is even over with. I for one HATE shopping with a passion and steer clear of the stores during the holiday season if at all possible. I find people rude and grouchy and pushy and shovey and they don’t act to me like people with the spirit of the holiday in their hearts. For many years, it was common for retailers to open at 6:00 a.m., but in the late 2000s many had crept to 5:00 or 4:00. 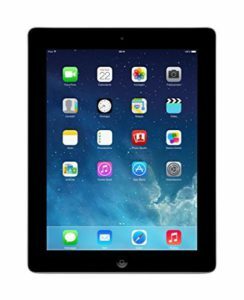 This was taken to a new extreme in 2011, when several retailers (including Target, Kohl’s, Macy’s, Best Buy, and Bealls) opened at midnight for the first time. In 2012, Walmart and several other retailers announced that they would open most of their stores at 8:00 p.m. on Thanksgiving Day, prompting calls for a walkout among some workers. In 2014, stores such as JCPenney, Best Buy, and Radio Shack opened at 5:00 PM on Thanksgiving Day while stores such as Target, Walmart, Belk, and Sears opened at 6:00 PM on Thanksgiving Day.Three states, Rhode Island, Maine, and Massachusetts, prohibit large supermarkets, big box stores, and department stores from opening on Thanksgiving, due to what critics refer to as blue laws. With that being said, it’s no wonder many have chosen to steer clear of the stores during this holiday may ham and find a better alternative, that being Cyber Shopping. 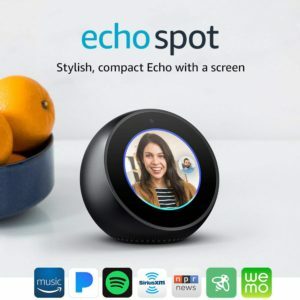 And notably the online shopping malls are aware of it and giving the shopper what they want by offering the same savings online without the push shove hustle bustle of going to the physical store, and in some cases you can get next day shipping. Some of your online shopping stores are opening up deals earlier this year. Walmart, for instance is opening up “Black Friday” savings on the 21st of NOV at 6 p.m.
Target Black Friday deals will start online on Thanksgiving morning. Time limitations: Doors will open at 5 pm local time on Thanksgiving, but deals will be available online before then. 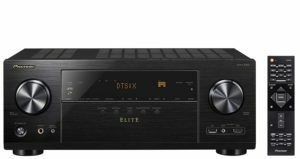 Best Buy is opening it’s doors online at 5 pm Nov 21 to 1 am Friday the 23. Amazon is already promoting it’s Black Friday deals as their deals started the 1st of Nov. 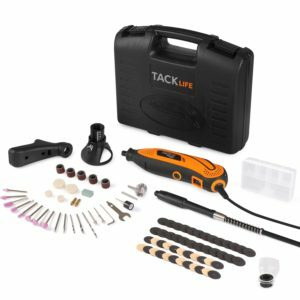 If you are like me and want to AVOID the death of BLACK FRIDAY click here and lets go shopping! I know this is where I will do mine! Thanks for sharing a few memories with me! I hope ya enjoyed it and perhaps it stirs up a favorite memory of yours. If it did I would love to hear it! Leave me a story in the comments below and lets have a laugh together! Grandmothers are special. There is no doubt about that, and some take on the role with a heartwarming zeal. Grandmother’s have lived through hardships and arrive at old age with a wisdom that supercedes all others. No one can take a grandmother’s place in your heart. I love to remember Grandma and am sorry that I was not able to spend more time with her before she passed, to ask more questions, and to know her more deeply. 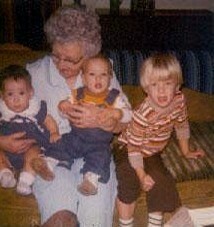 One thing that is for sure, Grandma loved us, and there was never any doubt about that. I remember the day Mother was raking hay and the horses run away and she came with hair hanging down clothes all ragged. She had been drug behind the rake sometime before she got loose, was bare foot, lost her shoes. Was all back and blue and how scared we were and cried. I also remember the prairie fires. How Dad would have to plow a furrow guard. No wonder I have nightmares. This is what stands out in my mind most of all. We were getting dinner. Had put on a big granite pan of potatoes on the stove to cook. It was one of those which was smaller at the bottom then and big around at the top, and didn’t set on the stove very good as we always took off the lid and set them down next to it so to get done faster. She no doubt went to check to see if they were done and the kettle tipped and hot water poured out onto her leg. Don’t remember if both legs or just one and she was bedfast for sometime. It just didn’t heal so someone said a lamb manure poltice should be good. Talbotts had lambs so we got some manure from them and tried it, but she then had a stroke and was sometime before she passed away. Ida postponed her wedding until after she passed away. It seems Ernest was home. Maybe he was going to Taxidermist School in Omaha then and was just home a few days. It seems it was he who told of her being delirious and trying to climb the walls. I just don’t seem to remember much about her prior to that. Have been trying to bring something back. That was such a tragic thing. I would have been 10 years. old. We were bed pals. And we always said the Lord’s Prayer in German and I still do to this day. Who will take care of Grandma? A mother can make room for 10 children but not one of those 10 can make room for one mother. God gave us his blessing and she lived to be 89.
Who will take care of Grandma. Who will it be? All of us want her, I’m sure you’ll agree. in such a big family there’s certainly one. Who’s willing to get her a place in the sun. But see how she walks, arthritic no doubt. When people grow older- they become such a care. She must have a home, the question is where? Remember the days when she used to be spry. Baked her own cookies and made her own pie’s? Kissed away troubles, and mended our dreams. Isn’t it dreadful there’s no place to go? Just one little corner is all she would need. A shoulder to cry on, her Bible to read. and she won’t be our problem to worry about. But who’ll dry our tears, when Grandma is dead? The first thing that comes to my mind when I think of Grandma, is the time we went to visit her in Omaha where she lived with her brother Martin. I recall that she had baked sticky pecan rolls that she had just taken from the oven in anticipation of our visit. During this visit Daddy took us all to the big new mall for a shopping spree. Being a bunch of contry kids in the big city you might imagine our excitement. We split up, the girls were to stay together and the boys were suspose to stay together. I imagine we had a meeting place and time though it doesn’t stand out. When we all got together we were missing my brother Cliff. He was about four or five at the time. Mom, Dad, Charline, and Jeff went in search with the help of the mall officers. Grandma and I took the rest of the kids to the car. In all the excitement Grandma accidently shut the babies fingers in the car door. After a two hour search and the malls closing, Clifford was found. His explanation was that he got into a big box that went up and down. During the search someone stole all the purchases that mother had made. By the time the family all made it back to the car we had lost all day light. Grandma directed dad to the freeway and we got lost and drove for hours before we found our way back to Grandma’s. Once there we made up beds in the attic. There was all kinds of neat stuff up there. I remember hearing sirens from ambulances nearby. Where we came from that was a rare thing. Another memory perhaps one of my earliest memories of Grandma was when my mothers brothers were killed in a car accident in December of 1961, Grandma came to stay with us as my mother needed to be with her family. We lived on the farm south of Narka, Kansas. The weather was cold, Charline and Jeff were in school, and Grandma was trying to entertain Henry and I with coloring books. Henry and I were having a contest to see who could color Grandma the prettiest picture. I got my feelings hurt somehow and took mine to the upstairs determined to color Grandma the prettiest picture in the whole world. Grandma sent Henry to tell me to come downstairs saying it was too cold up there. I refused, and she finally came to get me. I resisted by sitting down on the top of the stairs and she pushed me one step at a time down the stairs with her foot. I remember being really mad at her, but we made up as she fixed my hair and tied the sash on my dress as we prepared for visitors. I remember Grandma trying to get me to take a nap when I was about five. I didn’t want to so she’d say “Come and lay with me awhile, I need a nap.” I’d lay there and the next thing I know I’m waking up and she was gone. When we lived in Byron, Nebraska Grandma would visit the neighbor women and talk to them in German. She always dressed up to go to the store. I never understood that as we were country kids and there wasn’t much to dress up for where we lived aside from church on Sunday. When Jack and I were married we made a special trip to Murdock, Nebraska to get Grandma for the wedding. On the way home a bird flew into the windshield of the car and out of reflex, Jack covered his face. Grandma laughed about it for miles. The first time Grandma saw me smoking she exclaimed “Oh, you’ve learned to smoke.” I was about 16. She never said another word about it. Grandma was my biggest help when it came to uncovering the family tree. She put me in touch with Uncle Martin who helped me a lot, and it was at her funeral that I met Herbert Blum, my dad’s cousin, we fast became friends and much of what I know from the Blum side of the family came from the two of them. Grandma always encouraged me when it came to my religious training and I recall how she voiced her pride in me when I was baptized and confirmed into the Lutheran church. Until her death, I did not know she was Lutheran. 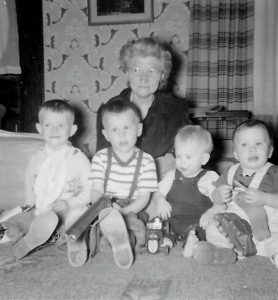 She was very proud of her grand children and her great grand children. My favorite story about Grandma involves a fishing trip. I don’t remember how old I was, probably 4 or 5. There is a picture in the family album…mom has it. Grandma packed a lunch in a wicker basket and we headed back to the creek NW of her house on the farm near Reynolds. I remember it was a hot sticky day. We were there for hours with no luck. Grandma was using her cane pole. She lifted her bobber out of the water and said “Lets try one more place.” She lowered her line next to a log and almost immediately she hooked a fish. The cane pole was no match for the fish and broke. I can vividly remember her fighting the fish and pulling him in hand over hand talking to him as she did. She knocked him in the head with a hatchet, pushed a stick through the gills and had me carry it back. At the time the fish seemed huge but the pictures show it to be about 5 lbs. The folks were waiting for us when we returned. They were wondering where we were but not worried because Grandma could always take care of herself. This is how I remember Grandma: Tough self sufficient, caring, do anything for anybody, and make the best of a situation. She always looked for the good in people. I think of her often and have told Linda many stories about Grandma. Linda is the new woman in my life. She likes Oregon so we plan on making a trip out there in the next few months. Maybe we’ll stop and say HI. 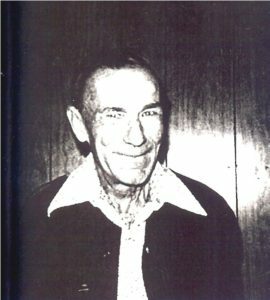 After Grandpa Pierce died, he died too soon for me to see him, but he was a good worker and a good man from all the stories I heard. Grandma Pierce was always busy doing and making things. She lived in her trailer for quite some time and always seemed happy making the best of each day. She stayed in pretty good health right up until when she died. I have so many lovely memories of Grandma: picking daisies, hot steaming rolls out of the oven, warm fuzzy slippers at Christmas time, listening to German lullibies, and her soft hands. 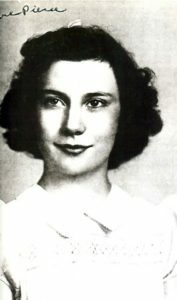 But the most touching memory I have of Grandma, which still brings tears to my eyes, occurred in January, 1974. My first child, Melanie, was 2 weeks old. We drove to Belleville, Kansas to visit my parents and Grandma Pierce. Grandma hadn’t seen Melanie yet. Melanie was all bundled up as it was very cold. 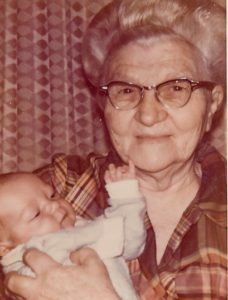 When I carried her into the house, Grandma was sitting in the living room so I walked over and said “Here is your great-grandaughter, Melanie Marie.” Grandma took her gently, and slowly unwrapped the little bundle of blankets. As she finished, she held Melanie up to her, gave her a hug and said quietly, almost reverently, “I never thought I’d live to see the day I’d hold my daughter’s daughter’s daughter. The room was totally quiet as Grandma held Melanie. She counted her toes, smoothed down her wild red hair and spoke quietly, privately to her new great granddaughter. Watching Grandma get acquainted with Melanie touched me in such a wonderful and emotional way, that it still holds a special place in my heart as one of my most special memories of Grandma Pierce. 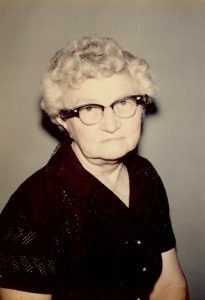 Here is the article you requested about Grandma Pierce. Sorry that it took me so long to write it. It was a very difficult task for me because of the strong emotions behind it. I still cry when I think about Grandma. Having to write about my memories of her, forced me to get out of the denial stage that Grandma was actually gone. Best of luck with your project. I’d really appreciate a copy of your finished memoirs. 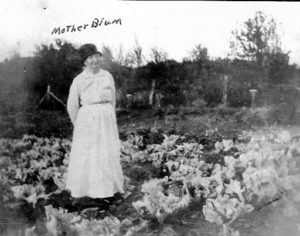 Thanks for sharing this tribute to my Grandmother Marie Blum Pierce. It’s amazing how we we all have different memories, and things that come to mind when we start thinking of our grandparents. What kind of things do you remember about your grandparents? I’d love to hear your stories. I wonder what will come to mind when my grandchildren think of me? One hundred years from now…what do you think your ancestors will want to know about you? Tell your grandchildren stories…what it was like when you were growing up, how you feel about things, what is important to you. It is how you live on in the hearts of your grandchildren. Christmas is creeping up on us and though there are some that enjoy going to the mall and wrestling with the hustle and bustle of Christmas crowds when the weather is cold and nasty, the majority of people are happy these days to stay home and order their purchases online. Remember the day when you waited impatiently for the Sears and Roebuck Christmas catalog to get there. We would spend hours going through the toy section of the catalog dreaming of what Santa would bring us. Now we browse sites like Amazon and Ebay and dream of what we would like. That being said I am going to show you a few things that you might consider while shopping for your family genealogist. One wouldn’t think there was much a genealogist would need but actually we have quite a list. I hope to share some ideas with you that might make the genealogist in your life smile. One never has enough room for storage of family papers, photos, and records. These things are essentials for the genealogist. You might even want to add some fancy boxes to store pictures and papers in while the work is in process. 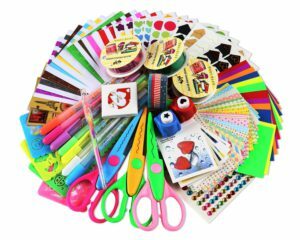 Scrap booking supplies could include fancy papers, scrap books, plastic sleeves for finished projects, markers, pens, embellishments, glue, scissors, stamps, stickers. The list is endless. How about a nicely framed family tree chart that can be filled out and hung on the wall. You can find free printable ones on Pinterest and have it framed at Michel’s or Hobby Lobby. Your genealogist is always trying to find new ways to show off their work. Journals make nice gifts and genealogist love having them to write things down in. We seldom let any bit of information get past us. 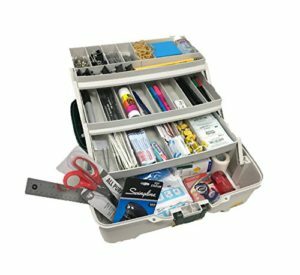 Try filling the Tool box with some of the things your genealogist will use!? How about a one year subscription to Ancestry or My Heritage? Has your genealogist had their DNA done?…if not they would love a test and you can buy them for anyone. (Some are being sold in stores now.) There are several to choose from and they will probably have a special on them with the holiday season coming up. Ancestry, 123 and ME, and My Heritage are the most popular but there are other good ones out there. A simple search of Amazon will bring up a few to pick from. I will be doing a review of some of the different ones down the road. Perhaps you have a beginner genealogist that needs some help. There are some great learning tools in the Kindle store to help your genealogist in their search. Aside from that there are tons and tons of books on genealogy and history to choose from. Try Kindle Unlimited! One of my favorite tools is the good ole Ipad. 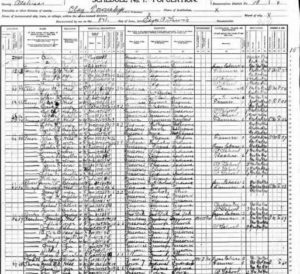 It’s invaluable for your traveling genealogist. 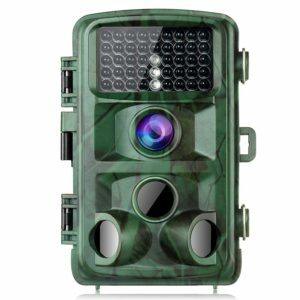 The camera comes in handy for scanning photos and taking cemetery pictures that can easily be uploaded to the program of your choice. Back up is always important so consider an external hard drive. Make sure it has some a good amount of storage on it. 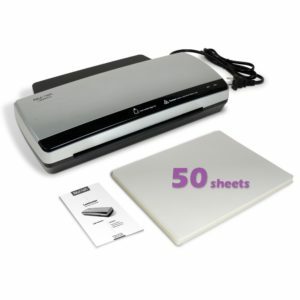 A good scanner is also a necessity for the genealogist that collects records and pictures. They can scan their records to files on their computer as well as up load them to their tree on ancestry. I personally would love to have a mobile rechargeable scanner that could be taken with me when I visit other family members in search of old family photos and documents. I especially like the ones you can feed the pages into as it makes the work seem less agonizing! This is a fun tool to help in saving papers though I have heard that they are not good for archival papers. That is always something to keep in mind when preserving documents. You might want to check google to see what some of the best methods are. (a little research doesn’t hurt). Personally I use mine most in saving news articles after they have been scanned so that I can put them into a scrapbook. It might not be the best way to save them but it works for me and after it’s been scanned it can always be retrieved. Don’t forget to throw in an extra box of sheets to go with it! 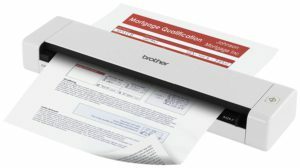 A good printer is also a necessity for your genealogist, and while your at it don’t forget the ink and paper! We go through a lot of that and the expense adds up so any help you give your special person in that area is always appreciated. Thumb drives are a handy tool for all genealogist. 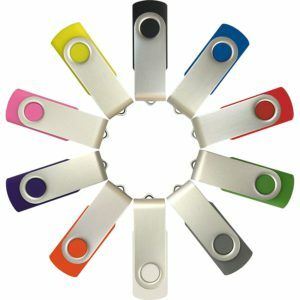 They are essential for library visits and backing up your work. Software programs are always a nice add on to the tools of a genealogist. Check out some of the latest family tree software. It might be just the thing. 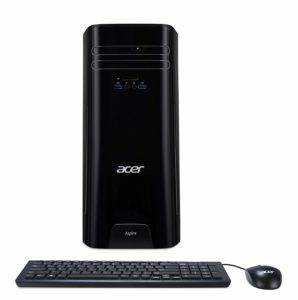 A new computer? I personally have my eyes on one with double monitors. Double monitors! That is so handy when moving information from one program to another without having to type it all in. Simply copy and paste! Someone told me that there are new computers with built in scanners!!! WHAT! I would love one of those. I hope this relieves some of the pain of “WHAT DO I GET MY GENEALOGIST” for Christmas and helps you choose something for them they will love! I KNOW I would if you are looking for something for me! As always, leave me a comment, and if you have ideas to add please do share. One of my biggest pet peeves when researching my family tree is people (especially on Ancestry) who just click and call it good. Pretty soon someone else comes along and sees that information and assumes it is correct…without asking, …and they add it to their tree …and soon you have a lot of misinformation floating around out there and it’s all undocumented. I’ve had it happen on my own tree. I’ve added a bit of info to research to my tree and next thing you know there are several other trees that have added it to their tree and assume it’s a fact. I recently came a crossed a tree that had listed William M Green as the father of Robert Green. I sent them a message and asked them what their source was as from everything I have found… Robert Green’s father was born in Virginia and this William M Green was born in Tennessee. Hmm. My first clue that there might be a problem. This person replied to me that she just clicked the green leaves and she just knew. She stated that she didn’t get into sourcing but that if I had a source that would prove differently she would change it. Well, I didn’t have a source, but I won’t add a family member without one. My questions then would be…then how do you know?! There are literally HUNDREDS of William Greens to choose from. The point is if you do not have some sort of documentation that that person is the right person, you are leading someone else down the wrong path. If you are serious about tracing your family you want to be sure you are tracing the RIGHT family and not someone else’s. I for one want my tree to be as accurate as possible, so be sure to prove your connection with documentation and collaboration. Collaboration is an important part of the search. If someone has information I don’t, I always go to them and ask where or how they know what they know. Always go to the person that shared the information first and document what they tell you. If you don’t keep notes on the information that someone gives you…down the road when someone asks how you know what you know, you won’t remember. I save all the emails and correspondence I have with others when collaborating so that I can go back to the notes if I need to. Most genealogist are eager to share and they want to know what you know as well. Two heads are better than one when it comes to investigating lineage. A simple” because I know” is not going to be sufficient for a true researcher, but someone who is just into clicking little green leaves will take it as a fact. . If you think you might be on the right track but are still in the process of researching a clue or a hint, put a comment or note on that person so that the next person that sees your tree will know that you haven’t yet proven it as a fact. Perhaps keep your tree private until you know the information is correct. I ALWAYS put a note in the comments if it’s a clue that has not yet been proven. 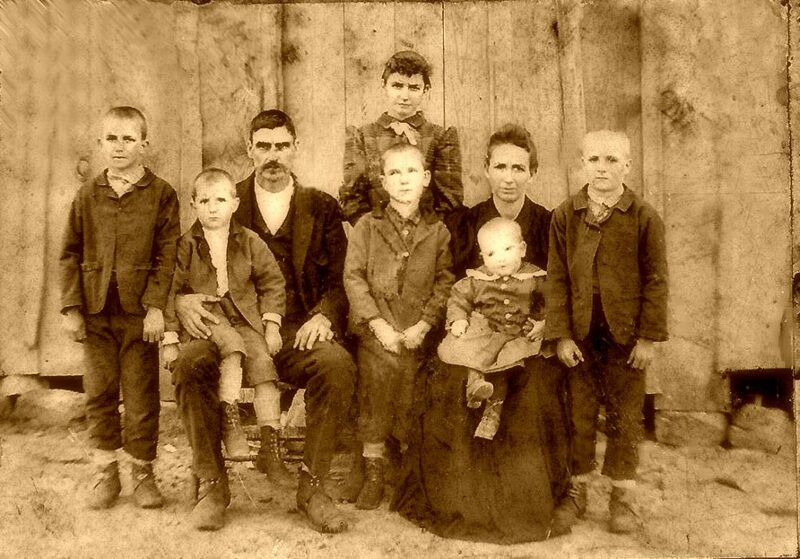 For example: while looking for the eleven children of Samuel Hays in Indiana, I added Alfred Hays as a son of his, as all the information seemed to add up to that, but I am not absolutely positive that he belongs in the family. I added him as a son, but I put a note on him stating that I had not yet proven this to be a fact and stated my reasons for believing that he was. The next person that comes along and sees this note…may just have some information to help prove or disprove it. Be courteous when it comes to contacting people, and be polite. I can’t stress this enough! I’ve found information that wasn’t correct and added it to my site without checking and then had people contact me …in not a nice way…to tell me it was incorrect. I simply answer them and tell them that I appreciate the information and thank them for letting me know. I don’t, argue with them or comment back rudely. What is the point in that? Simply thank them for the information and let it go. Seriously…you appreciate the information, correct? So a simple thank you is all that is needed. No need to take offense because they did. We are all human, we all make mistakes, simply correct the information provided, thank the person and move on. You never know when down the road you might need to contact this person for more information and it’s best to stay on good terms. Personally, I’ve never quite understood the need for rudeness anyway. We are all just doing the best we can. So don’t get offended and don’t be offensive. AS ALWAYS, Thanks for reading I hope you enjoyed it. If you have anything you would like to add…please leave me a comment, or just say howdy! Do you have a HUGE Passion for Genealogy? Have you ever wondered, how could you make a living doing something you love and do everyday anyway? Work is not work when you are doing something you are passionate about. I know myself I always wondered what I could do to monetize my passion, and get paid for something that I absolutely love to do. Perhaps there is something else that you are passionate about or you would just like to find your passion? 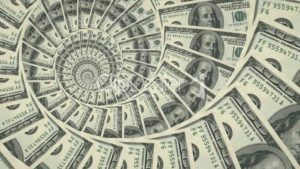 Say dogs or animals for instance…have ya ever given thought to the fact that there might just be a way that you can turn that into income? We’ve all heard the talk about what it cost to open a franchize, or run a brick and mortar type of business. We know that if you really want to do something you will find a way. We know that going to school for four years (or more) to get a degree is the most preferred avenue…but maybe just maybe there is another way? Perhaps you’ve tried MLM’s or selling at home to make a few extra bucks but just nothing ever worked out. You took the training, you paid for training, you watched the videos and followed the advice of everyone from your upline to the guru’s and nothing worked. The truth is most MLM’s are designed to see you fail and 97 percent of people will. What if I told you that you don’t have to do it on your own? 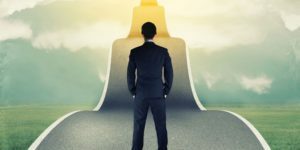 What if there was a coaching program out there that will guide you step by step, inch by inch, and that didn’t cost an arm and a leg to participate in? What if I told you you could do it for FREE? What if there was a community in place that WANTS to see you succeed? What if I told you there are people waiting for you to ask for their help? Would that give you a little more incentive to get started with your own business? You have to have a BLOG, you have to have a web page, you have to have a landing page, and a capture page, etc etc etc BUT NO ONE WOULD HELP set it all up! There was no one that would show you how. Some said they would help but when you ask a question it would be crickets…or they would re direct you back to a video that didn’t answer your question the first time. I spent hours and hours watching videos and going back through the steps. Heck, half the time I had no idea what they were even talking about. Eventually I just gave up. I just didn’t understand enough or know enough to do this. One day I was signing up for a group on facebook that offered help tips for business owners and my world took a different path. There was a link there that said if you wanted help to click here….so I did…and it took me to a page that told me about WA. At the end of the article the guy said that if I would sign up he would HELP me …that I would never be ALONE! For some reason, I believed him. I sent him a message…not really expecting to hear anything back from him and asked him if he really would help. I got the most awesome response from him. DID I MENTION IT WAS FREE! This is not the case with WA. They have the most awesome online community in place where all your questions can be answered within minutes…NOT DAYS. They literally walk you through step by step so the average “no clue” person can make sense out of it. It’s all done in a very laid back manner that is easy to follow, and you can work at your own pace. NO PRESSURE! As a matter a fact they help take the pressure off. 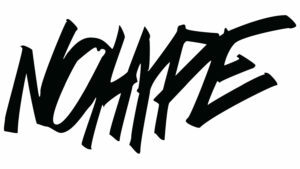 No HYPE get rich schemes here either. They tell it like it is. IT’S GOING TO TAKE TIME, COMMITMENT, AND PERSISTANCE! but if you follow the plan and the steps they lay out…you can do it like the big guys. I can’t begin to tell you how my life has changed. I have learned so much in such a short amount of time… that it’s now time for me to give back! I want to see YOU succeed at your passion also. And I will be there to help in each and every way along the journey. All you have to do is ask, right along with the rest of the community cheering you on to success. Check it out! I’m sure you won’t regret it. If ya have any questions at all leave them in the comments below and I’ll get right back to you! I so look forward to working with you. Oh right…Did I mention it was FREE? If you’ve been at the search for long you have undoubtly collected boxes of pictures along the way. Most online history software lets you upload your pictures to the tree. Having a picture to put with your ancestors profile in the tree helps to bring them to life and gives you a feeling of knowing them just a little better. But what happens when someone forgot to put a name or date on the back of the photo? Now you get to spend hours trying to find who it is in that Photo and take to step to becaome a detective to unravel the mystery. Finding historical photos is easier now than ever. Some of the same websites you’ve searched for genealogy information also have databases of old photos contributed by members—some of whom may be your distant cousins. 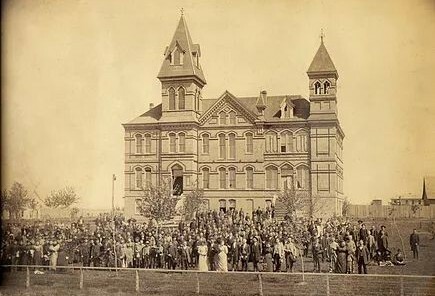 Local historical societies, state archives and similar organizations, realize the power of pictures and are placing digitized historical photos and illustrations in online collections. Photo-sharing sites encourage folks to post photos of all ages. There are all kinds of groups geared towards genealogy on facebook, and they are easy to join. Just click the join button and answer a few questions and vola! There are groups that help restore the pictures, some for free. There are groups to help you in your searches. I have met many a cousin from the same family lines in these groups. 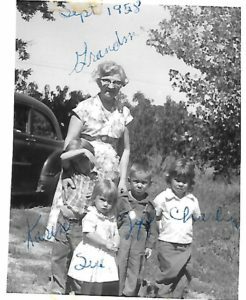 There are groups where you can upload your pictures to ask for help in identifying ancestor and there are groups looking for family members of lost family photos. Actually, facebook has a group for just about anything these days. There are several sites that have to do with identifying and finding lost photos. Most of your major genealogy sites have archives of photos shared by others. By doing a simple keyword search of the surname you are looking for might get you your desired result. Some also allow you to upload photos you many have to the site to share with others or find help in identifying photos that have lost their names. The Ancestry Hunt has a huge list of places to search right down to the state that your ancestor may have lived. Finding an online photo of your ancestor or his house is exciting especially if it’s someone you’ve been searching for for years, but pause before you drag it to your desktop or right-click to copy it. How you’re permitted to use it depends when the image was taken, who took it, and what repository now owns the physical image, but most genealogist are willing to share. I for one love to share my information but sometimes it is disheartening to see that it’s being shared in others trees with no mention of the one who originally shared it. Most photos taken before 1923 are in the public domain, although a library or museum may own the original and license its use so be careful. When searching a repository’s image collection, look for information about usage or rights and reproductions. For example, many institutions allow you to download an image for research or personal use (such as to keep in your genealogy files or include in a family album), but require a licensing fee for publishing it (such as in a family history book or on a website). If you’re in doubt, always write to the institution for to be sure. Always acknowledge the source of the image, even if there are no usage restrictions and give credit where credit is due. Images taken by government agencies, such as the Farm Security Administration, are usually OK to use as you see fit; check the online image details for confirmation. Practice courtesy and caution when you find an ancestral image someone has attached to his or her online family tree. Before you use the image in a book, on your blog or website, or elsewhere, contact the contributor for permission. Thank the person and credit him with source. But remember that the submitter may have gotten the photo somewhere else, possibly without regard for its source or copyright status. Try to find out where it came from, and alter your plans to use it if necessary. Google gives you a photo search tool in Google Image Search. Type your search terms as you would for any web search, and Google will find images from web pages that contain those terms. Don’t overlook old newspapers as another potential source of ancestor photos. A graduation announcement, profile article or obituary might have included a picture. Browse street and building photos on websites such as HistoryPin and WhatWasThere, which let you look for images “pinned” to locations on a map. This is a really cool site that ties historical photos to google maps. I especially like this as I am not satisfied with just a name and date. I want to go where my ancestors have gone before me and visit the places they frequented. It give me a sense of belonging. 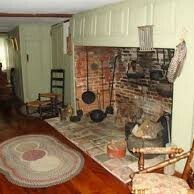 Here you might find a picture of your ancestors house, or farm. It’s really cool. Check it out. For more information on copyright and online photos, see the chart on the Cornell University website and study the Copyright category of the Legal Genealogist blog by Judy G. Russell. Is an good place to find information about photographers which can help you in dating photo’s you may have questions about. They also offer for a fee a Comparison Service that might help you solve a mystery to an unidentified photo. Offers a reverse search for finding your ancestor. Upload an image and search the database for likely matches. TinEye constantly crawls the web and adds tens of millions of new images to the TinEye index every month Try it …it’s sorta cool. If you have a photo you can’t identify or place…ask a cousin or family member. They might just know something you don’t or might have the same picture in their collection. Two heads are better than one when trying to solve a mystery. Recently I was updating my files and came across a folder of unidentifed pictures that I had not a clue as to where they belonged. I have a group on facebook of all my cousins and I posted the pictures there for help and was able to find several of them simply by sharing with cousins. 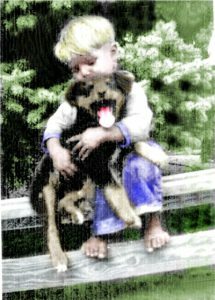 Youtube.com is a good place to find videos that will help you in restoring old photos and dating them as well. Pinrtest also is a good source for this. I hope this gives ya a little insight in where to hunt! As always Happy Hunting! and don’t forget to leave me a little comment! I love hearing from ya!